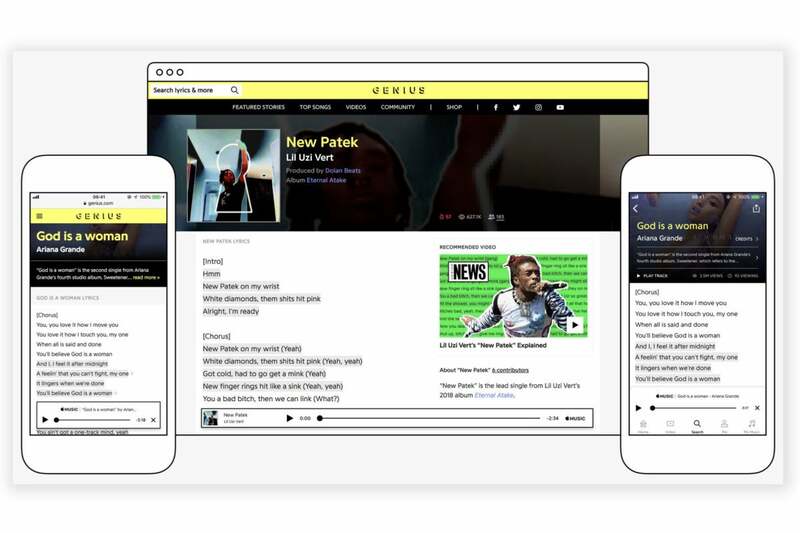 Apple Music will get lyrics provided by Genius, and Genius will get an built-in Apple Music player on its websites and app. Lyrics have been featured in Apple Music for a long time, but they are often criticized for spotty accuracy. A great many popular songs don’t have lyrics at all. Adding lyrics from Genius should drastically improve both problems: The Genius lyrics database is sourced by artists and fans, and it's regarded as one of the most complete and accurate available. This will have a measurable impact on Apple users. Users can now search for songs by lyrics in iOS 12, and a bigger and more accurate lyrics database will make that feature more useful. The Genius integration also ties into Siri, which impacts HomePod users as well as those with iOS devices. You can ask Siri to “play the song that goes...” followed by a few lyrics, and if Siri finds a match, it will play it. That feature should get a lot more reliable with the addition of Genius' database.